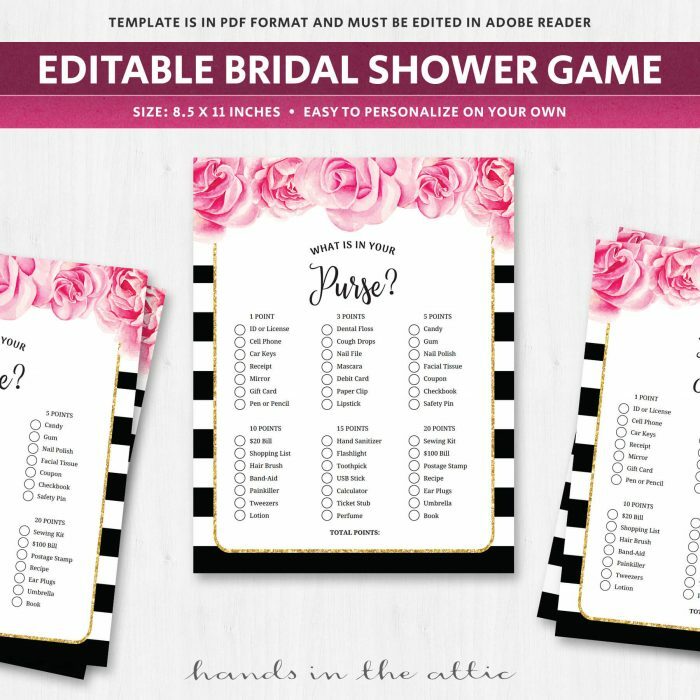 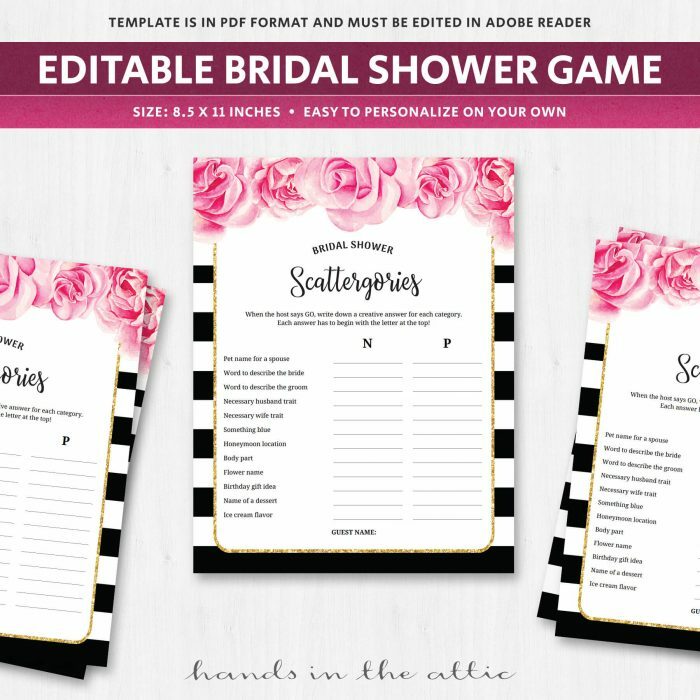 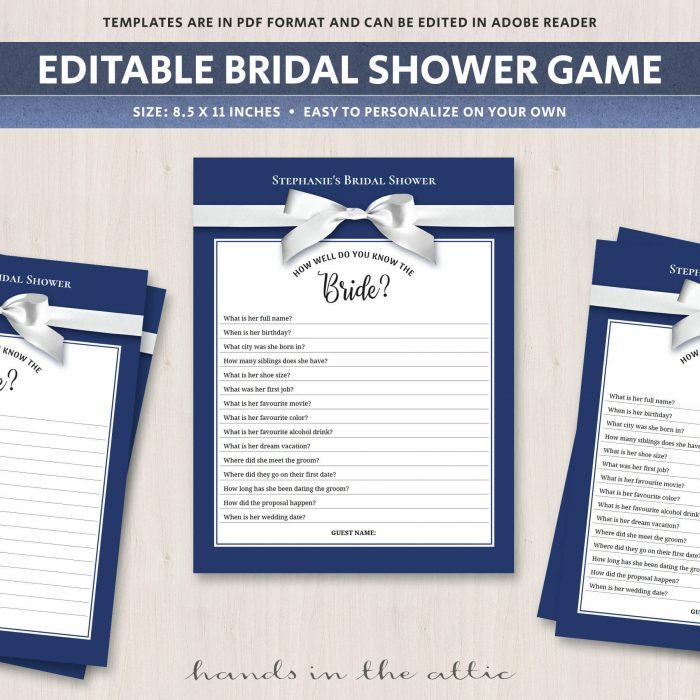 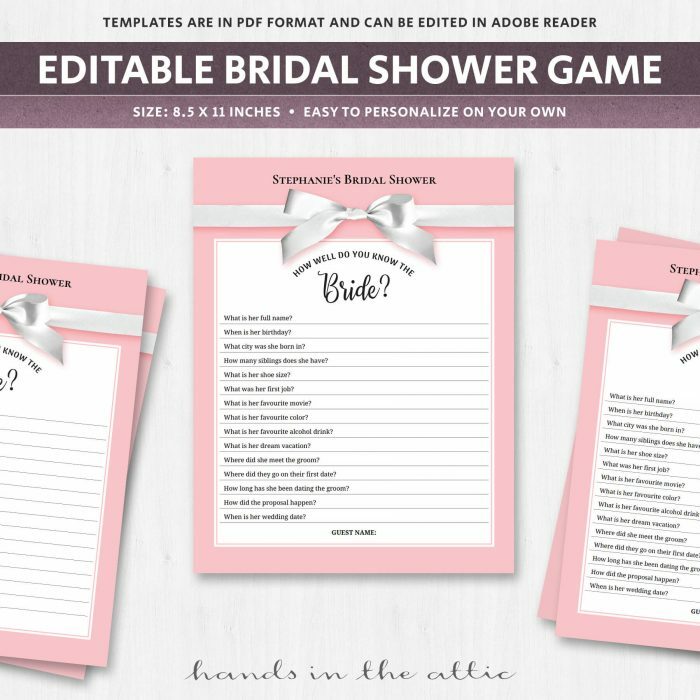 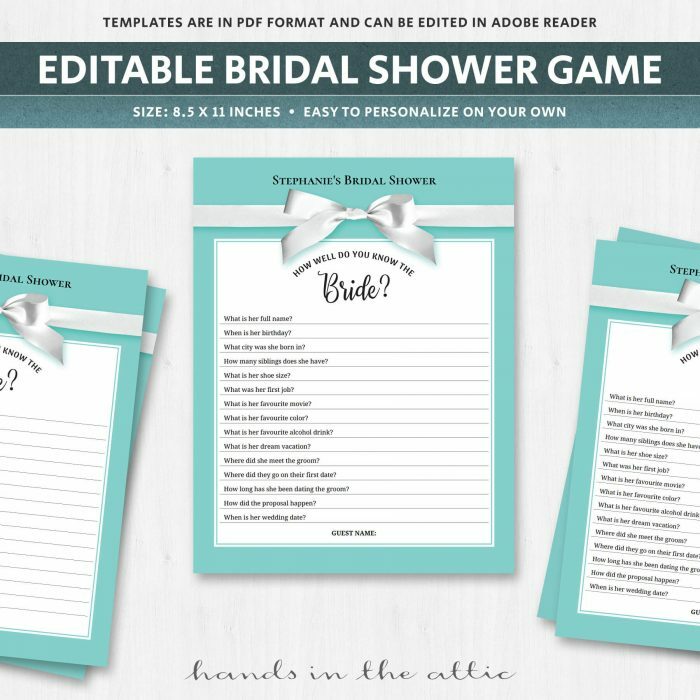 Looking for personalized bridal shower games? 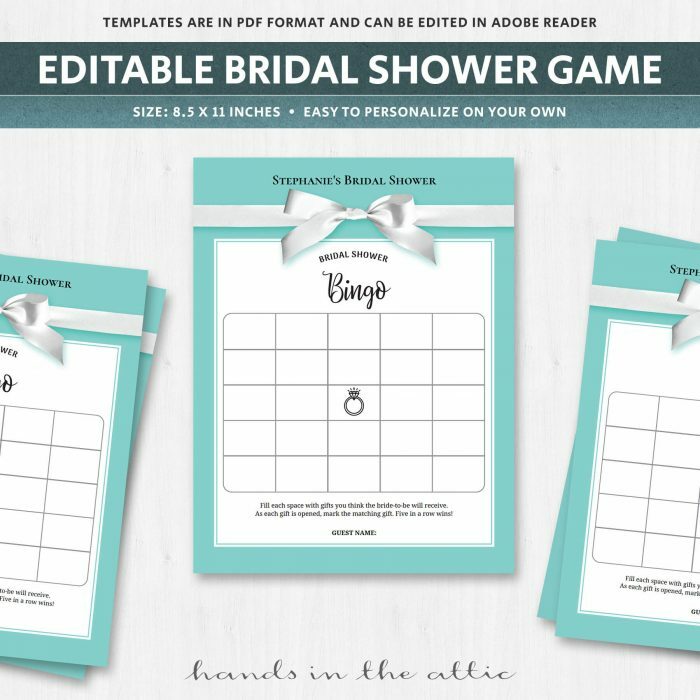 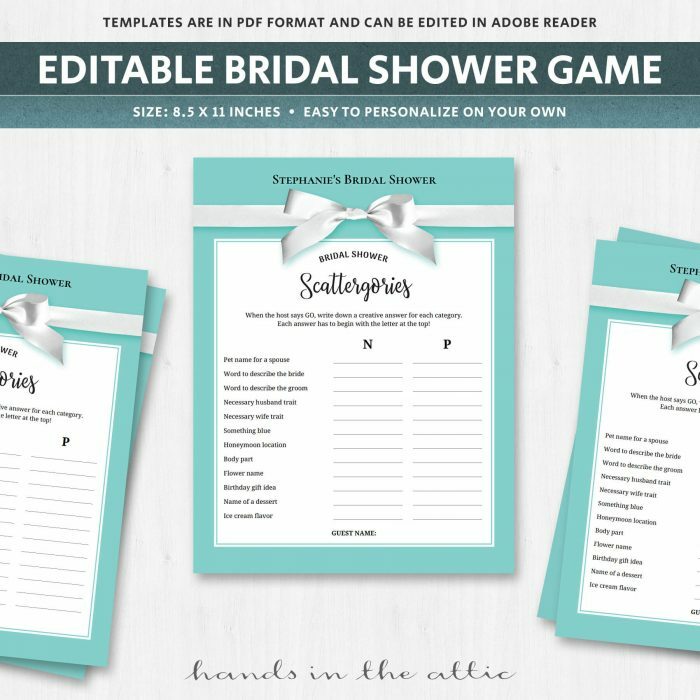 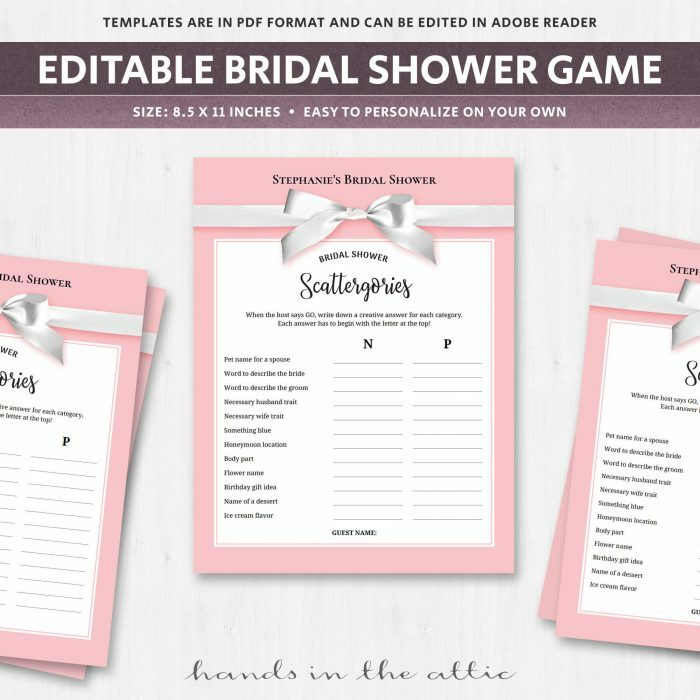 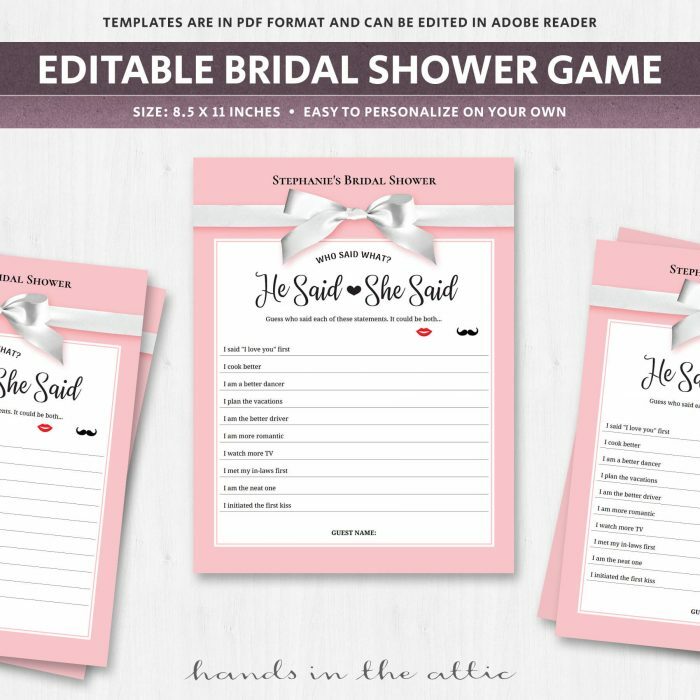 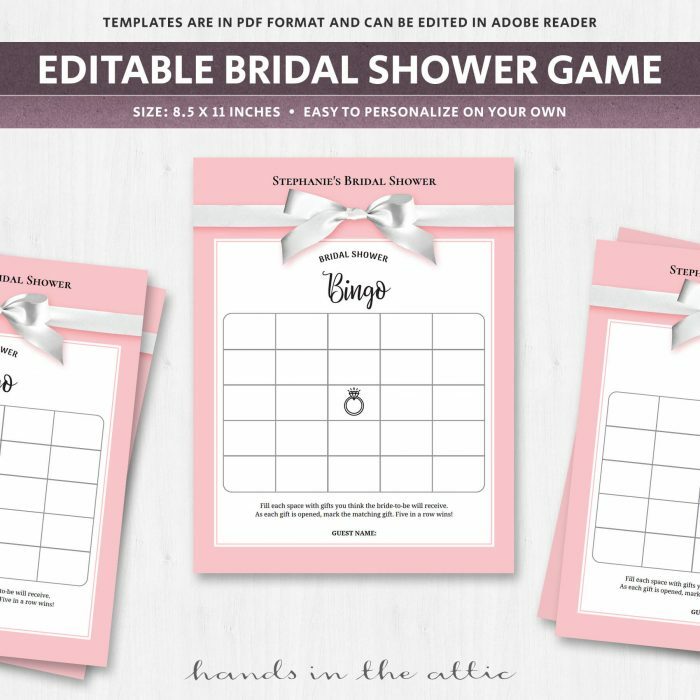 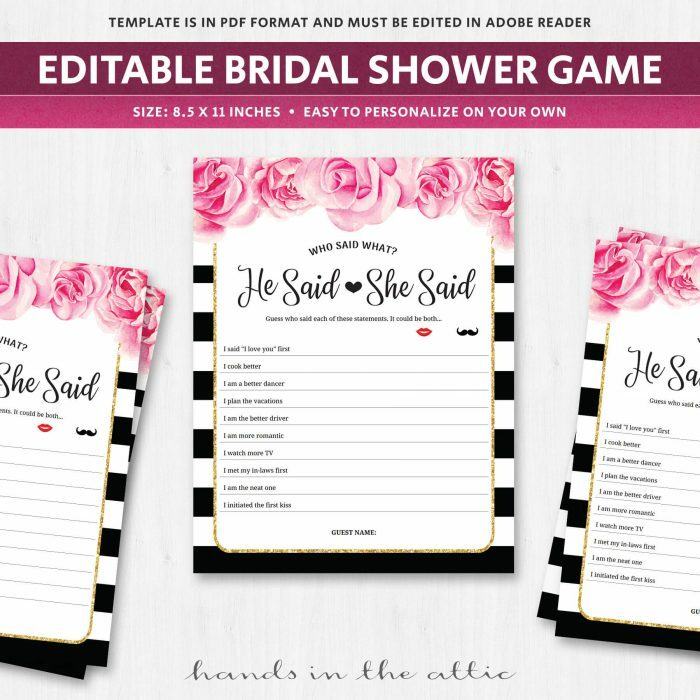 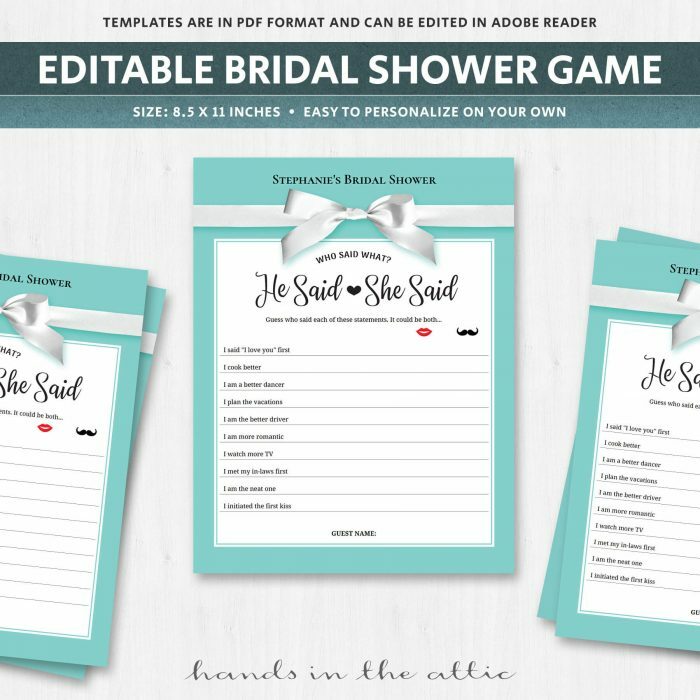 Get these customizable templates and kick off an intimate and memorable game session at the shower. 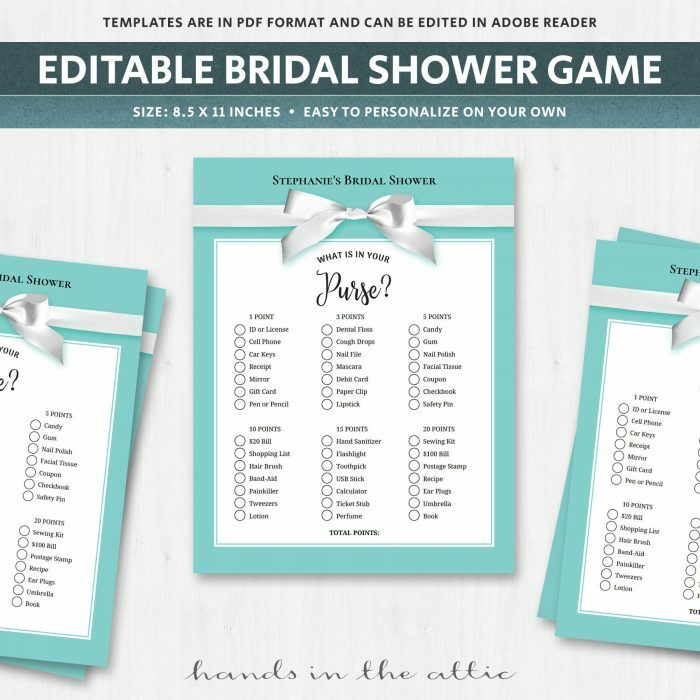 The printable games in this section are pre-filled with suggestions, but to up its cool factor, they can also be edited. 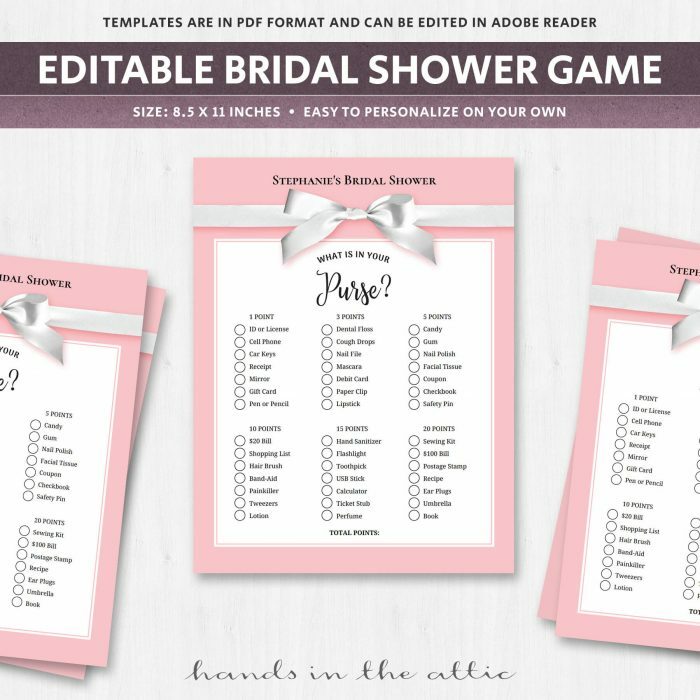 Simply open the files in Adobe Reader, and modify the suggested game text. 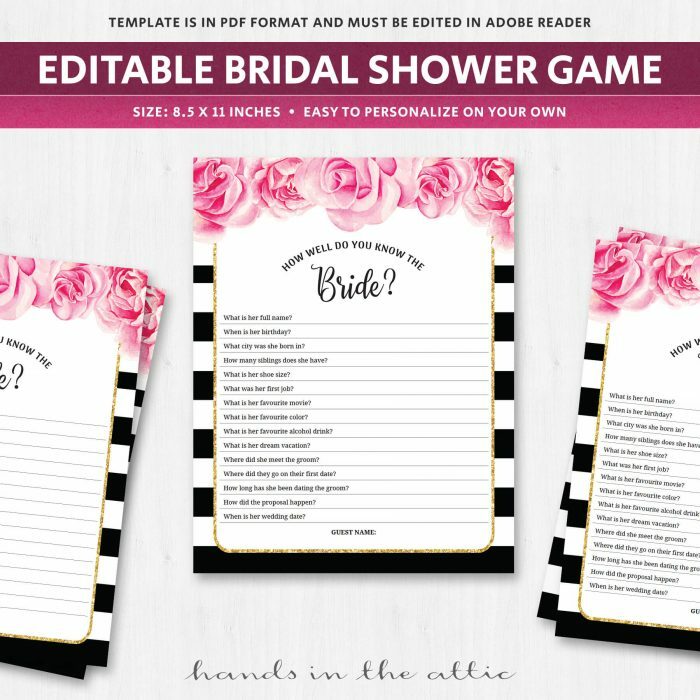 Make it unique and include items, questions, or words special to the bride.